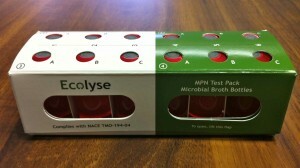 Ecolyse offers a variety of specialized bacteria media for the Oil & Gas industry. Ecolyse media is manufactured in accordance with NACE, ICorrST, and API recommendations. Our media and media kits will allow you to quickly and effectively determine the presence of microorganisms responsible for microbial influenced corrosion (MIC) in oil field process water and cooling systems. Media contains no precipitated salts. Growth media may be made to one of five standard formulations to suit the salinity of your specific system investigation. 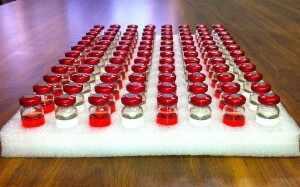 We can also produce media to a specific salinity upon request. For more information or to place an order, please email orders@ecolyse.com with order information and/or full contact information.